Fernando Quesada graduated from ETSAM in 1995 and obtained his Ph.D. in Architecture from UPM in 2002. He has completed postgraduate studies at the GSAPP, Columbia University, New York, between 1998 and 2000. 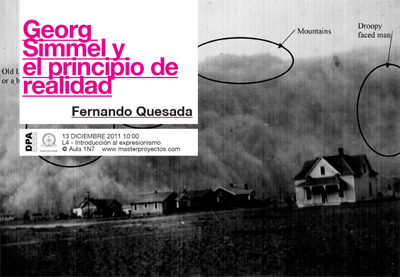 Since 2001 he teaches Proyectos Arquitectónicos at the Escuela de Arquitectura de Alcalá, UAH. He has been lecturer in the Master Proyecto y Ciudad, the Master en Práctica Escénica y Cultura Visual (UAH) and the Master Paesaggi Straordinari (Politécnico di Milano). He published “La Caja Mágica, cuerpo y escena“ in 2005 and co-directed, between 2001 and 2010, the journal O-Monographs, published by COAG. He has completed his postdoctoral research at Delft School of Design, DSD, TU Delft University, Netherlands, during 2009-2010.